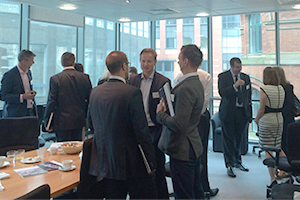 Property experts gathered in Manchester last week to find out about the strengths of locating within Cheshire and Warrington and how the financial incentives offered by the Cheshire Science Corridor Enterprise Zone could benefit their business and clients. The Cheshire Science Corridor stretches across the Cheshire and Warrington sub-region and incorporates some of Britain’s most innovative and significant science based businesses including Urenco at Capenhurst; Daresbury Science Park; to AstraZeneca at Hurdsfield; and Jodrell Bank. At the event, which was sponsored by Peel, representatives from a wide range of developers including Bilfinger GVA, BE Group, Lambert Smith Hampton, Peel Environmental, Langtree and Legat Owen, joined together with Enterprise Zone partners Cheshire and Warrington LEP, Cushman and Wakefield and representatives from Cheshire West and Chester, Cheshire East and Warrington councils to promote how EZ status can offer a competitive advantage. 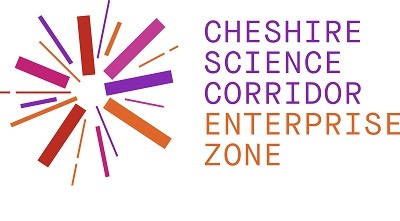 Philip Cox, Chief Executive of Cheshire and Warrington LEP, said: “As the home to a leading and nationally significant science sector, the launch of the Cheshire Science Corridor Enterprise Zone is an exciting opportunity for Cheshire and Warrington to drive further economic growth and for us to have the capacity to deliver the crucial infrastructure we need to support it.